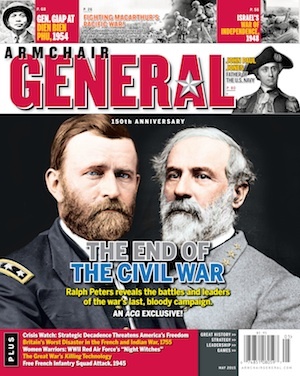 Civil War II – PC Game Preview | Armchair General Magazine - We Put YOU in Command! AGEOD’s Civil War II. PC Game Preview. Publisher/Developer, AGEOD Studios. The American Civil War (or ACW), along with World War II, dominates the military history publishing business. It sells. The Civil War still captures the imagination of Americans—and much of the Western world—with its drama, violence and passion. Oddly, this focus has never really translated into the computer game market; for every Civil War game, there are dozens of World War II shooters and strategy games. In the 1990s, games such as Civil War Generals 2 and the Talonsoft battle series were the only options for an ACW-focused gamer. In 2007, AGEOD, a French developer, took their award-winning AGE Engine game system first seen in their excellent Birth of America and applied it to the strategic-operational level of the ACW. AGEOD’s American Civil War (AACW) was an excellent game, and the developers maintained it with constant updates, and it was supported by an active mod community. It was, for many of us, the best ACW ever, giving players the feeling of being U.S. President Lincoln or C.S. President Davis. The ability to build ironclads, raise regiments, and other factors often missing from other games were finally part of a fun and exciting game that had its own distinctive feel from others that had gone before. AGEOD’s Civil War II (CW2) builds on the successes of AACW, and incorporates many of the advances and changes that have marked the AGEOD line since 2007. CW2 is a WEGO game, where turns are plotted and then executed over a 15-day turn cycle. In contrast to the excellent but often slow Pride of Nations (2011), CW2 quickly processes turns, making the game one that can be played to conclusion over weeks and not months. The game focuses on the strategic and operational levels of war, in which the player takes the role of Lincoln or Davis, raises forces and fights the conflict at the operational level through historically accurate leaders and units. Much like other games by AGEOD, leadership and organization are the critical factors for victory. Leadership is reflected by bonuses (or minuses) that can support a variety of skills, from organizational ability to increased loyalty in occupied regions, and is displayed on screen by icons representing hundreds of historical commanders. This huge database of Civil War commanders, from forgotten brigadiers to Grant, Lee, Jackson, Sherman, et al, is a major bonus to the game and demonstrates the exacting historical research that AGEOD has put into CW2. Victory Points (VP) and National Morale (NM) are the core principles in CW2, as they were in AACW. Taking and holding key cities, such as Washington, DC, or Richmond, Virginia, are the secret to victory in CW2. Only infantry can take and hold a city—preventing strategies where small bands of raiding cavalry or partisans could “win” the game by taking unoccupied towns freely. CW2 has been changed to reflect that reality; only heavy infantry forces with supplies can take and hold the VP cities, which in turn impacts National Morale and leads to victory in the game. In my opinion, the AGEOD system shines best when it comes to unit organization and leadership, and this is has been reinforced in CW2. The ability to mix and match specialized and line units is the strongest point in the game. ‘Stacks,’ consisting of units and leaders, are the basis of the system. A Stack can include any number of elements, up to the basic leadership ability of a commander, and can be adjusted by the use of special units (such as balloons or signal companies) that add a higher level of organization to the stack. Too many units result in an unwieldy mob, reflected in severe penalties to combat strength. Stacks are formed from Units, which could be a full Division of thousands of men or a single independent cavalry troop. Again, leaders play the critical role; some can form Divisions from brigades and include supporting artillery or cavalry units, which massively increases the combat power of the force. Other leaders are only capable of commanding specialized units (such as Native American or Partisan/Guerrilla forces) and combining them into larger elements. Lastly, Units are formed by anywhere from one to eighteen Elements; in most cases, these Elements represent individual companies, troops, or batteries that combine to form a Unit (and cannot be manipulated by the player to form a Super Unit of 18 crack rifle companies—there is an historical table of organization for each Unit in the game). Elements are filled by Replacement units. Players build Replacements much like they build Units, but these are used to fill the individual Elements (and may or may not be expended in the process). Any would-be Lee who fails to build enough Replacements will soon find himself with undermanned Units with ever-weakening combat strength. Ultimately, the game follows the historical structure of Army-Corps-Division or individual capital ships; these are formed, when allowed to do so, based on the historical date of organization, by commanders based on their respective ranks. Promotion (or demotion) of officers is not automatic, and the player has full control of officer promotion. However, promoting officers above others comes with a price, namely damage to National Morale. Consequently, a player can balance the cost of promoting U.S. Grant to Army Command rank early with the loss of National Morale when he bypasses George McClellan and other generals for the top rank. In other words, Grant had better quickly win battles to overcome the loss of National Morale, or his promotion will have been for naught. Unit recruitment is factually based, and focused on State of origin. You will see a few famous units, such as the Iron Brigade or Irish Brigade, that are provided for free based on date; most others will be raised by the player at the strategic level by recruiting. Unit construction is State or location based, and limited by the population and historical size of the region. States like New York or Virginia, simply put, can raise a gigantic number of Units, while Kansas or Arkansas are limited by their smaller populations. Naval units are built much the same way, with one key difference. A Naval Unit goes on the board in a semi-constructed manner, making it possible for a player to seize a partially built warship and use it for his side. Combat is fairly simple to understand but is often complex in execution. In general, it is based on a variety of factors (leadership, terrain, weather, etc.) that modify combat power of the relative forces. The American Civil War was marked by the rise of the defense over the attacker. Not surprisingly, in CW2, a defender has a distinct advantage over an attacking force, especially when combined with leadership and terrain factors. The result is an historically accurate representation of operational-level warfare in the 1860s; it is quite easy to replicate disasters such as the Federal defeat at Fredericksburg in December 1862. CW2‘s greatest advancement, besides faster game turns and upgraded graphics, over AGEOD’s 2007 game is at the grand strategic level. In addition to the aforementioned Unit and Replacement construction, the game has expanded to include the ability to build new types of buildings, from administrative to industrial. The second major change is the adaptation of the Regional Decision Card system from AGEOD’s 2011 game, Pride of Nations. These Decision Cards add an even greater level of variability into the game, allowing players to build new Railroads, expand spy networks, colonize areas of the American West, or Suspend Habeas Corpus. The result is a substantially deeper game than AACW, one in which a variety of decisions await a player other than charging for the enemy capital on Turn 1. This preview was based on a late Beta version of the game; some of the graphics still require a bit more work, such as text and image clarity. However, the basic game engine was fully functional, and worked like a charm. Battles were exciting, and the use of the Regional Decision Cards added a deeper level to the game. Personally, I liked the ability to build new railroads and upgrade industries, which give the Confederate States a reasonable chance for victory past the middle of 1862. AGEOD has managed to keep the core parts of AACW that made it beloved by many gamers, but has taken the lessons learned over the past eight years to heart. I expect I’ll be spending most of 2013 and 2014 still learning the nuances of this outstanding game. Dr. Robert Mackey, LTC, USA (Ret) teaches at the Security Studies Program at Georgetown University and is a former assistant professor of military history at the United States Military Academy. He is the author of The UnCivil War: Irregular Warfare in the Upper South, 1861-1865, and is a consultant for a several computer game companies, in addition to his day job as a historian for the Department of Defense. with other players, attempting to determine how you can very best these Titans, is great enjoyable.